Trad on a plane. Trad in a chipper. Trad in a pub. Trad in an airport. Trad on a bus. All thats missing is Samuel L. Jackson to star in the new film 'Trad On A Snake on a Plane.' Then again, a few jaunty tunes is what St. Patrick did to drive the snakes out of Ireland, right? What are we talking about again? Oh yeah, trad. 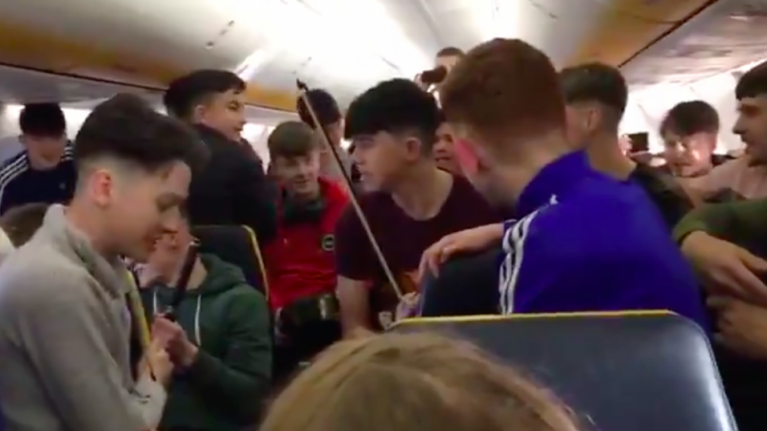 A recent flight from London to Kerry was made better by this impromptu performance from the music class at St Brendan’s College (The Sem) in Killarney, Kerry. Thankfully, the lads all had their instruments with them on hand and they were kind enough to deliver some in-flight entertainment that we can all enjoy. All that's missing is Father Noel Furlong doing his best Riverdance impression by doing a jig up the aisles. To be fair, we wouldn't blame him.